A shining example of what Swarovski crystals can do to an already decadent dessert design! A star shaped decorative cream tart is filled with fluffy “mascarpone” filling and topped with light deco whip cream. Pastel strawberries, “buttercream” rosettes, gold plated charms and colorful Swarovksi crystals are playfully placed on the cream tart while a crystal charm dangles from the center of the star. 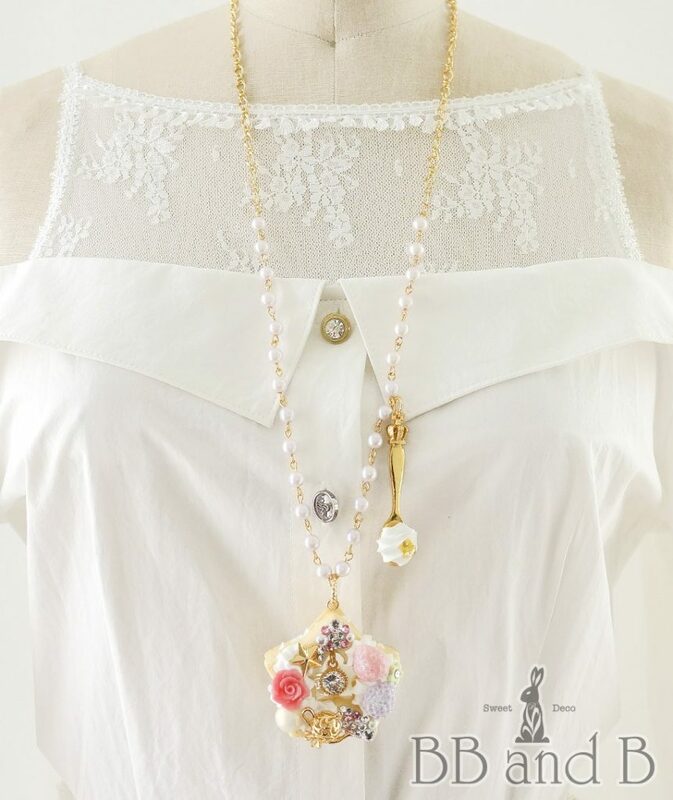 To create an even sweeter look, a unique 18k gold plated necklace chain with pearls is given a regal spoon companion complete with a dollop of deco whip that the cream tart charmingly hangs from.